This week, the Health Information Trust Alliance (HITRUST) announced that version seven of the HITRUST Common Security Framework (CSF) – due to be released later this month – will incorporate a number of new privacy controls. 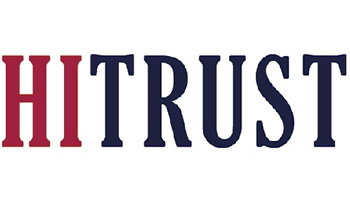 HITRUST was formed in 2007 with the aim of assisting the healthcare industry with the move over to electronic health information systems. The alliance has worked with the public and private sector to develop tools to assist healthcare organizations protect electronic health information systems and safeguard the Protected Health Information (PHI) they contain. Numerous programs have been supported over the course of the past 15 years, with the development of its Compliance Management Framework (CSF) the most widely known. It has been adopted by over 84% of health plans and hospitals and is currently the most widely used security framework in the United States healthcare industry. The HITRUST Privacy Working Group has been working on a number of new privacy controls for the last 18 months to help HIPAA-covered entities better organize their privacy and security programs. The HITRUST PWC made a number of recommendations and the specific privacy control categories, objectives, specifications and requirements have now been incorporated into the CSF. HITRUST also confirmed that the seventh version of its CSF would also incorporate Minimum Acceptable Risk Standards for Exchanges (MARS-E) and the organization would be issuing new guidance for cyber security. It has also enhanced its risk factors and assurance methodology and is now updating MyCSF to incorporate the new privacy controls.